Sometimes the only way to get rid of an annoying pest is to eradicate it. Imagine you have a problem with insects in your house. Not just one or two, but thousands of insects that seem to show up everywhere. They’re getting into your bed, your food, your furnishings and your clothes. The shear number of insects makes it obvious that you have to take action. What would you do? Would you open the door and hope they leave on their own? Or scoop them up one-by-one and release them outdoors? Obviously, the correct answer is neither. You would simply get out the bug spray and eradicate them. We’re facing a similar situation here at EzineArticles, but our pest isn’t insects… it’s the word “Scam” in article titles. We have literally thousands of scam-titled articles infesting our article submission process and the time has come for us to take action. We need to eliminate the word “Scam” now. Effective immediately we will no longer allow the word “SCAM” to be included in any article title. It’s unnecessary. Good titles come with insightful, unique content from your own experience and expertise. The word “Scam” is not required. We have found in our research that the word “Scam” is most commonly used to bait the reader on a highly publicized product. The reader is then directed to another product that the author has an interest in. This act is willful infringement of another’s marks, otherwise known as “false designation of origin” and unfair competition/dilution. Example: The article title includes language on scams related to a popular diet program – the article discusses the potential scam and then rules it out and explains that it’s not a really a scam. However, the resource box link is to a totally different weight loss program that the author has a stake in. When the word “Scam” is not used to bait a reader to another product, it’s often used improperly to tease the reader into thinking they will find out why a particular product is known as a scam, yet it’s a thinly-veiled affiliate marketer shilling for the very product they are saying is a scam. The word “Scam” is often perceived as being negative. You don’t want to start out your conversations with a negative tone, so don’t start your article title with one. Your title should entice, not scare. Your articles should be about what YOU know about your expertise, share YOUR knowledge, and deliver YOUR unique content. You cannot do this effectively by discussing someone else’s product and nothing about your own. Articles of this ilk are stepping stones to legal issues where product owners may feel the author is being libelous. End result? We remove the article. Most scam-related articles deliver nothing new because they’re old news. Everyone is talking about it. Why compete with thousands of others who have already delivered the downside to a product? Spend your time researching what your market wants and deliver positive information, tips and fresh ideas they can use. We’re not alone in taking this action as other well-known websites have taken similar steps toward SCAM eradication. What are your thoughts on eliminating this pest? Is there a just reason we should allow it? Let us know by leaving a comment. I think that your idea is great; however, there really are so many scams out there that people aren’t aware of, and having articles about them at EzineArticles for people to read is very helpful to the public. I do agree that the word SCAM shouldn’t be in the title. “Facts are stubborn things.” Truth demands courage. The truth is: scams are garbage and garbage must be thrown out for the good of all of us. Tell the truth, i.e. the facts, nothing but the truth – the facts. You are right on this. These scam titles are nothing else than spam. Another annoying form of this kind of spam is when the title or description starts with “Don’t buy X!” , where X stands for a certain product. Patti: While it’s true that there are legitimate scams out there that people should be warned about; we’d rather see those contributed to a scambusters-type website rather than EzineArticles.com. I agree with Patti that there are lots of poor and misleading products out there, but there are better ways of establishing authority than screaming SCAM! – like writing an article about the 5 warning signs of weak products or the 7 signs of a product you can trust, etc. I’m glad you’re whacking the weeds and opening up space for people that are really adding value. That always bothers me when I see a title with “scam” in it. “Is _____ a scam?” or “Find out of ____ is a scam”. It’s deceiving and should never be used if you want to gain the trust of your readers. Our survival space there are 360 degrees, too that is Omni-directional. I love the concept of writing from a positive slant. If everybody (such as newspapers) tried to take the positive angle, Americans would be a happier bunch! True, there will always be some nasty people out there and people need to be warned against things such as “phishermen” and computer viruses, but on the whole, why should we fill our heads with the negative? Like attracts like, so let’s work on writing from the positive angle at every opportunity! Ha! I just glanced down the list of Google ads to the right… 6 of them contain the word Scam in the headline! I think Adwords should follow in your shoes. When I search for a particular product, eg: XYX, sometimes I will see “XYZ Scam” in the sponsored links. The product is NOT a scam but an affiliate trying to sell the product using his affiliate links. Ohhh Spooky… i just realized i wrote about this last year in a blog post that also talked about the EzineArticles premium service..
Scam has a function but not on an informative article site. Good choice for removal. The new policy certainly makes a whole lot of sense, especially with the reasons so clearly outlines. I hope that writers will still continue to warn us of specific instances of scams within the guidelines. I saw the “6 storefront” scam come through our area a few years ago when older folks started calling me and coming to my classes, because they had purchased this program with their retirement funds and wanted some help with their “online storefronts.” I thought it was finally over, until a low income lady trying to start a business called me this year. She had also been sucked into this scam. I was really angry that these nice folks had been ripped off – and that I had to give them the bad news. In my opinion, the more venues where we can warn people with specific examples, the better. Negativity always has a greater impact on the gullible than positivity. So, sooner it’s eliminated the better for all. Yeah, which means we’re willing to walk away from ad revenue. In fact, we’re even terminating a few Premium members who wrote excessive “Scam” related article titles… (not terminating their accounts, just not accepting them as a Premium level member). I think these type of blog posts, i.e. plr trash, keyword abuse etc – should be posted in the submission guidelines instead of the blog. The reason why is I look forward to visiting EA’s blog daily for the positive challenges, caption contests, writing template tips and so on…they keep me motivated! No offense. I just hate reading about these things on a Friday with the weekend coming. Hmmm. I’m not sure ALL articles with this word in the headline are iffy. But I do agree with the gist of this post. When you have an infestation, best to exterminate. I think this is the perfect place to publish these kinds of posts. There are lots of EzineArticles authors who don’t read the submission guidelines daily. This blog is a way to keep us updated without having to read the guidelines every time we submit an article. Good idea. It does seem as though there are always folks who are looking for a way to short circuit the system or trick the reader in some way when the whole point of EzineArticles is to provide a platform to inform and give value – at least that is how I see it. Using the word scam to somehow hide the real intent of the article is really just such an attempt to promote a product or put out a sales message. I applaud what you’ve done! It just occurred to me – the reason the word “scam” is showing up so much in your Google ads is because that’s what this thread is all about. It did hit me as funny, though! By the way… I believe this is a very appropriate subject for this blog. We’re all here sharing our thoughts about something that impacts all of us. And negativity is something we should think about – because when we’re aware of it we can steer the other way, and be happier for doing so. Too often, the negative becomes a habit. Thanks for the kind words and input. If we had our choice the blog would be all positive, all the time! Unfortunately, there are negative topics that occasionally need to be covered in a timely manner. Ironically, it’s the popularity of our blog that makes it the ideal communications vehicle for those times — it gives us some assurance that this information will be seen by a significant portion of our active members. For the most part, we want the blog to be a positive experience for our members, so we make a concerted effort to keep the negative posts to a minimum and always try to surround them with a healthy dose of encouragement, education and great content. Should be “wilful” not “willful” and “libellous” not “libelous”. It’s a sad reflection on our society but bad news sells and the word “scam” promises just that. I would think the reason why is has been used in titles to the extent it has, is because it’s a very popular a key word – more people searching for bad news. The nature of the news we are continually bombarded with by mainstream media has helped to normalize this focus for so many people. And they wonder why their lives are such prime examples of lack, scarcity and negativity. Well done Chris, I’m all for stomping it out. Chris, thanks for the clarification. I read the blog post this morning before I had my coffee and I commented. After I reread it, I see that you do not appear to be eliminating articles about scams, just the word SCAM from article titles which is a wonderful idea. What if I wanted to write an Ezine Article about SCAMS and how to eliminate SCAMS and how to counter SCAMS? How do you write about the topic (of SCAMS) without mentioning the word SCAM? I think it would be a real challenge to write the article without mentioning the word SCAM. If EzineArticles are finding that a lot of members are trying to use a title in order for them to then promote their own products/services then I agree, something needs to be done. Do I need to change the title? Or is it just scam that has been banned from titles? Chris: I couldn’t agree more. I’m in the process of learning IM through a reputable website, and one of the things learned early on is that the word scam is used to attract attention to the ad in question. The ad may not be referring you to a scam site or product, but because we have become so attracted to the word, we apparently are inclined to click on this before another ad which excludes the word scam. It seems a shame – count me as one of your supporters on this one. I will be getting the word out to a group I am presently working with. A good ruling for a sensible reason. Martin – you’re probably right about that. Where does it all end. I don’t think articles concerning scams or ripoffs really belong at EzineArticles. As Chris notes, there are other places for that. I may be way out in left field here, but it is my understanding that EzineArticles was created to provide good quality content to the visitors. As I said I could be wrong, but I doubt very much that us why visitors come to this site. They know that can find tons of stuff on scams in other places. And besides, don’t we have much better and more interesting things to write about? Cassie brings up a great point on why we would not restrict this to the Editorial Guidelines. The blog is designed to deliver you changes so that you may keep on top of them. The editorial guidelines are not read often enough for those that write articles every day and the blog is a good source to deliver those changes. When needed, we change the guidelines if we feel it warrants that change but also post here for you all to comment on. Our quality standards continuously rise on what we’re able to accept. Rather than going back to reject previous articles we’ve accepted because they no longer meet a newly updated editorial standard, we apply the new standards to all new submissions and any articles that are edited post-original-acceptance. The position we have taken is not to allow the word scam to be included in the title. You could write an article about scams but I agree it would be difficult to deliver without the mention in the title. My suggestion is to not write about it. In an effort to stop those that are writing thin content and diluting the works of others, we know that by making changes like this we will lose a few quality articles and we are ok with that. See my reply to Patti. We will not go back and remove the articles that have been previously accepted. If you feel your article violates any of the reasons why we made this change, I would recommend editing the article. This change, as well as many past and many more to come, are our efforts to squash poor quality thin content that gives both you and us a bad image. We know that some authors will try to walk around this rule and we expect it. We will continue to address these as they arise and as always, continue to raise our quality standards. Thanks for pointing out those two words. Actually, either spelling is acceptable for both words. It just depends on which side of the “pond” you’re on. Marc – sorry to have been so picky ! Must use Websters instead of consulting my own prejudices. Indeed Marc… it does depend which side of the ‘POND’ we’re on… mind you, the pacific ocean is one hell of a big pond. LOL. It’s like the old Louis Armstrong song… You like tomato, I like tomahto. Just one of those quirks of the English language. Like in the US the word ‘niche’ is pronounced ‘nitch’ whereas here in Australia it is pronounced ‘neesh’… Like I say, the quirks of the English language. I may have a couple of dozen articles with that word in the title, I’d be glad to change them if I can find them? I do not believe I ever used the word in that way, perhaps just to advise consumers of a “type of scam” to watch out for? Wonderful idea! The internet is a fantastic tool, but so much of what is out there is false or misleading. I am always amazed at the Google Adwords campagins for Target and Amazon….seems they have EVERY product you could ever want…even if you search your own name! If only we could eliminate THAT, too. First, I’d like to say that I thought this was done previously, thus, I haven’t used the word in titles and try to rarely use it in articles. Still, it should be noted that the word SCAM, is one of those major trigger words, like Free, Tips, Secret, etc. The word is used most by Government Agencies and Consumer Groups to promote themselves, as if they are working on behalf of all us, protecting us from scams, scammers, scamming, scamsters and scam artists. I can work around the word. There is always another way to say the same thing. However, my site deals with discovering and exposing scams, as well as helping people avoid them. So it would be easier in some cases to be able to call a scam a scam. We’re not seeking articles that help consumers avoid scams. There are other sites that do that type of content well I’m sure… This is high risk content for us because scam articles usually publicly identify and make a claim against someone else. I am going to write an article titled “Is EzineArticles a Scam” and spread it across every other article marketing site that will take it. In the article, I will discuss how they take advantage of their authors, switch rules after the fact, and are generally worthless considering nobody reprints articles. A link from eZine is not really worth much unless it is in the article resource box, where nobody will click it anyway, and if you put it where people will click it, it’s nofollow. But if you do such a thing, make sure you tell everyone that it is opinion, and revenge motivated otherwise you could get sued for slander. See that point? That’s kind of mean spirited…coming from a Platinum author. Quite a few nice articles. I am a soccer coach myself for the past 4 years. We will ALWAYS raise quality standards every single month. If we don’t, the site becomes worthless. You are wrong to assume that nobody is clicking on the links in the resource box. We deliver 200,000+ clicks EVERY SINGLE DAY to our 200k members. Most members report a 7-12% click through rate! That’s pretty awesome. I knew we’d have some unhappy members as each quality standard raised means someones’ articles are not being accepted as they might have been previously. I’m open to a further debate of the issues if you are. Classy response Chris. Nobody likes to have something they have done in the past apparently questioned and the rules changed, but it essence sometimes this happens in an overall effort to raise standards for everyone. Anyone who has made serious use of EzineArticles knows that these changes are NEVER personally aimed at a single writer, but are the response to certain trends. That is, of course, your privilege. How many articles do you have up at EzineArticles, and how many rejections? It sounds as though you are not happy with this valuable, free service. I don’t think anyone is being taken advantage of, nobody is compelled to submit articles to EzineArticles. And if nobody did reprint articles there would be no point in submitting anywhere. Obviously, you must have something better, more constructive, positive and helpful to do with your God-given time and talent! Scott – This is a free service. If you don’t like it, don’t use it! No one is taking advantage of you – no one is forcing you to submit your articles. So just don’t. I agree with Terry – don’t you have something better to do with your time? The latest rule about taking in resource box texts into the article word count was made due to the misuse of the keyword density limit. Some had included too many keywords in resource box texts to counter the limit set for articles. Now, who is taking advantage of whom? Rules need to be changed just because of this–this being valid not only for EzineArticles, but for all law making bodies. There is another general rule! One eats normally at normal times, but when a meal is provided free of cost one devours! Chinmay, I liked your “food” analogy, unfortunately it has made me very hungry. Well, not everyone makes a pig of themselves when it’s free… and obviously not all of us went wild with keywords in the resource box. It’s just that some people are such jerks. Call me dumb, but I still think they’re in the minority. Hi Lance! Come home to Mumbai! It’s full of thoughts for food! I don’t see anything wrong with the word in the title, so long as it is a focused and well thought out article. The Editors can make a decission on a per case basis during their review. I agree. I think whether or not one uses such a word in the title depends on the topic and purpose of the article. “Never say never” is the way I feel about many things. Blanket rules rarely really work in everyone’s favor. Ah, yet another inocuoous word declared poison by what, political correctness? Over the years I’ve observed many a word come into disfavor; secretary, oriental, problem, etc. Here’s a chronological list of just one evolution of words that used to be totally acceptable: crippled, handicapped, disabled, physically challenged, differentlly abled, and on and on it will go. This is so, even though they are all similarly discriptive and, at one time, were all totally acceptable. I was thinking the same thing. Someone will just create a word to replace “scam”. I totally disagree with this ruling. 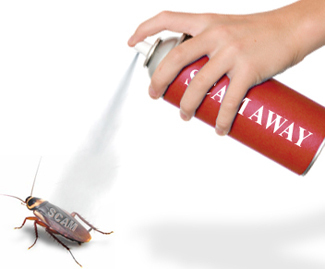 Yes, if someone is purposely using the word “scam” to describe a product for which he/she sells a competing product, I would question the use of the word. But if the article is all about scams, the author should be allowed to use the word in the title. That’s the problem with blanket rules that don’t take into account the real topics and purposes of articles. I disagree with this ruling. For those of us who write many reviews on home based businesses, the word “scam” is a very hot keyword that is utilized by readers in the search engines to research a particular home based business. We as authors who are unable to put our good quality article in front of this reader will not be successful, and we are losing many potential views. I believe that this rule should be on a case by case basis. There are many home based business opportunities that are scams, and we are writing to give our expertise on that particular company and subject. The word “scam” should be applied in our article title.